Raising Awareness of Diffuse water pollution amongst agriculture students. 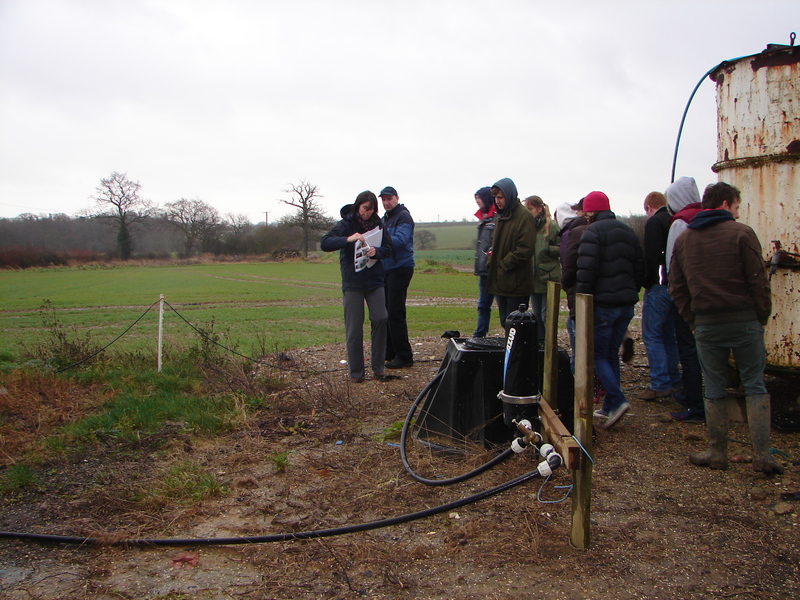 Recently ESRT coordinated a series of visits by agriculture students from the renowned Writtle College in Chelmsford to working farms in Essex to learn more about what they can do to reduce water pollution arising from farming activities. Pesticide pollution is a hot topic in Essex rivers and were were fortunate to team up with the Chelmer and Blackwater Partnership and Environment Agency who were able to show biobed installations and spayer filling areas constructed using grant money, and to discuss recent pollution incidents and how they were handled locally. Funded through the national Pinpoint Project.